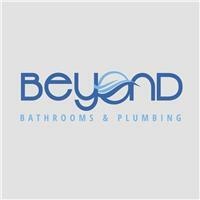 Beyond Bathrooms and Plumbing Ltd - Bathrooms, Plumber based in Carshalton, Surrey. Beyond Bathrooms and Plumbing is a limited based company which covers all aspects of plumbing work, we primarily focus on bathroom, shower room or wet room installations, but are more than happy to provide a full service to any plumbing problem or need. Although established in 2017, we have many years’ experience in the industry and provide a friendly, trained and experienced team to provide you with the best service. We are proud members of Checkatrade and work together with them to provide a high professional service. If you are in need of a project that you would like repaired, replaced, installed, designed or built. We have teams of plumbers, gas engineers, decorators, roofers, tilers or builders that are a phone call away! Work on all aspects of general plumbing whether it’s a faulty shower, to a leak on a pipe fitting, or a full bathroom installation. Bathroom, wet room, shower room installations. Central heating and boilers (sub contractor). Work in the surrounding areas of South London. We are fully insured and supply a guarantee upon completion of our work. Beddington, Carshalton, Chessington, Croydon, Epsom, Ewell, Hackbridge, Kingston, Leatherhead, London, Mitcham, Morden, New Malden, Purley, South.Surbiton, Surrey, Sutton, Wimbledon, Worcester Park.